Isadora DayStar is grim and gritty tale, one that creatively challenges the conventions of genre storytelling. Its central character is a broken young woman who has been reduced to the life of crime in order to support her drug habit. 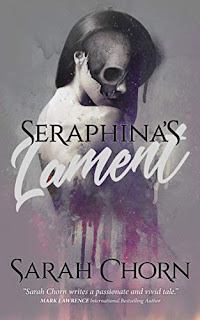 We first meet Isadora as a failed assassin, become mired in her drug addiction, and then watch helplessly as she prostitutes herself for another hit. As immediately unlikeable as she is, there’s something indefinable about her that drags you into the story, despite your better judgement. Part of the appeal is the compulsion to understand what brought her so low, but a larger part of it is the deft plotting and cleverly construction narrative that comprises her tale. 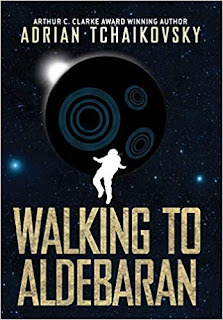 While it’s not quite a stream-of-consciousness tale, the first half of the novel almost reads as if it were written by a drug-addicted young woman on the run. The main narrative is constantly interrupted by fragmented memories and snippets of dreams that first drag down our opinion of her even further, before building the context we need to understand the choices that brought her to her situation. Once she hits rock bottom, however, the story begins to turn, although it’s abundantly clear that salvation is to be hard-earned. Eventually, Isadora manages to become a sort of awkward, conflicted, flawed anti-hero. While the full revelation of history does a lot to explain (if not necessarily justify) her situation, it’s her connection to Iphedeiah that ultimately demands our forgiveness for what she’s done. Their relationship is a tenuous one, brought about entirely by circumstance, but it serves to reveal Isadora’s humanity . . . even if she’s never fully redeemed or repaired. There’s a nice contrast in the story between grit and gloss, between humanity and technology, that drives the story along. 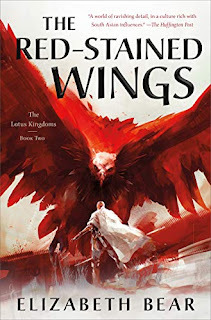 Remarkably fast-paced and action-packed, it’s a story that never loses sight of the fact that it’s the characters who matter, and with whom the reader feels connected. Given its already dark beginnings, it sounds harsh to say that it gets even darker before the end, but there’s a thread of hope and humanity to cling to that carries you through the darkness. An unusual novel, to be sure, but one that’s well-worth the read. 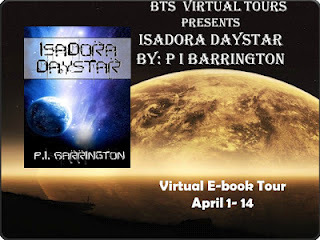 Check out the tour page for Isadora Daystar over at Close Encounters with the Night Kind and enter to win a copy for yourself!